A lot is being said about Bulebel Industrial Estate, however it is worth putting in black and white the development timeline of this industrial area on the island. Following Independence, the Maltese government, through the assistance of the British government tried to diversify the national economy mainly through tourism and industry. Up till then, the young generation, the result of the post-war baby-boom were encouraged to emigrate to Australia, Canada and the US. The Royal Engineers were entrusted with designing a new Industrial Estate in Southeast Malta. The obvious choice for the site was that where land was publicly owned. Buleben was inherited by Maltese government from the British colonizers since this land was administered by the previous colonizers since medieval times when this was feudal estate. When works started, the annual ground rent (qbiela) due by farmers of all government owned fields in the area surrounded by Tal-Barrani Road, Saint Leonard Road, Dejma Road, Bormla Road up to Żejtun stopped from being accepted since this area was reserved for the future expansion of the industrial estate. 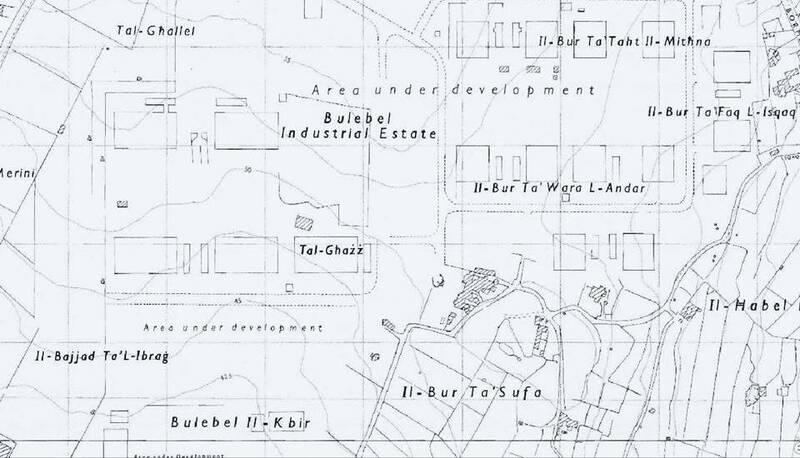 Following a change in government in 1971, construction of new factories continued and reached up to Tarxien Road but stopped from extending towards Żejtun. The current built-up part of the estate is the same as it was by the mid-1970s except for some minor extensions along Bormal Road. 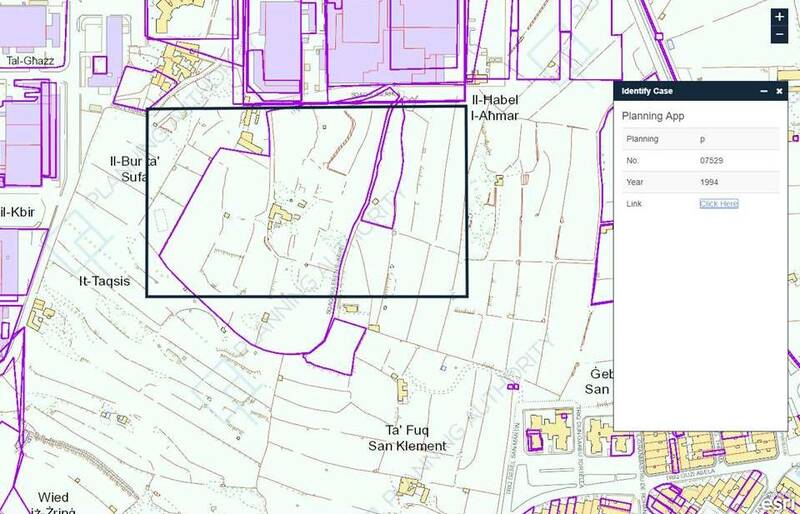 When the Temporary Provisions Schemes (Pjan Regolatur) were drawn up in 1988, the industrial estate was consolidated to the current form but an area between Tarxien Road and Bormla Road was retained for possible future expansion. In 1994, a planning application (PA/07529/94) was submitted by Brandstätter Malta to build a large new factory within the area which was identified for future expansion in 1988. This application was later withdrawn by the applicant after the new government elected in 1996 identified land at Ħal Far for this proposal. Between 1996 and 1998, all unpaid ground rent due by farmers tilling land outside the 1988 scheme boundary but falling with the boundary identified in the 1960s started being collected and this land was released back to farmers. The South Malta Local Plan consultation process was carried out before 2006. During this process MEPA had received various comments from the general public, local councils and government entities on matters relating to land-use. 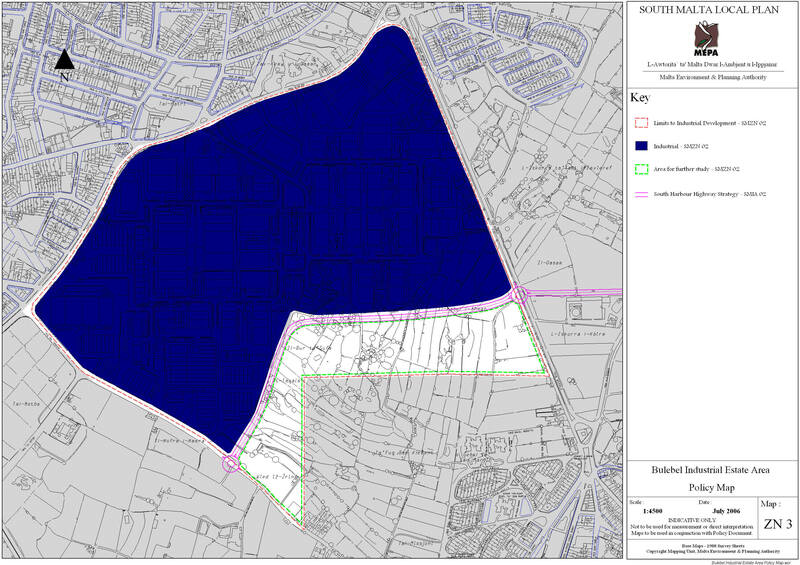 At that time the Malta Industrial Parks had requested that the boundaries for future expansion of Bulebel had to be retained. However the Department of Agriculture was clear with its assessment claiming that this land was of “high-grade agricultural value”. This statement was included in the approved Local Plan (2006). The Żejtun Local Council was also very clear on this stating that “The Local Council always insisted against the expansion of this industrial zone towards the residential area and Wied iż-Żrinġ.” There were also objections submitted by individuals. In 2015, the local NGO Wirt iż-Żejtun, which was formally established in December 2010, was informed by farmers that land surveyors were observed in the areas around their fields. The indication was that some plans were being drawn up for the expansion of the industrial development. The NGO sent a letter of objection for this development to the authorities, mainly drawing their attention that the area was of agricultural value, a number of archaeological remains were discovered, the development was going to cause nuisance to the close residential area through noise pollution and that the urban area of Żejtun will be joined to the Grand Harbour urban conglomeration. End of last year, farmers informed us that they have received an eviction notice ordering them to vacate their land within a month. Wirt iż-Żejtun wrote again to the authorities insisting on the points which were raised in 2015. This entry was posted in environment, Uncategorized and tagged bulebel. Bookmark the permalink.